Africa, the richest continent in the world, an exotic place, so distant from the everyday life. 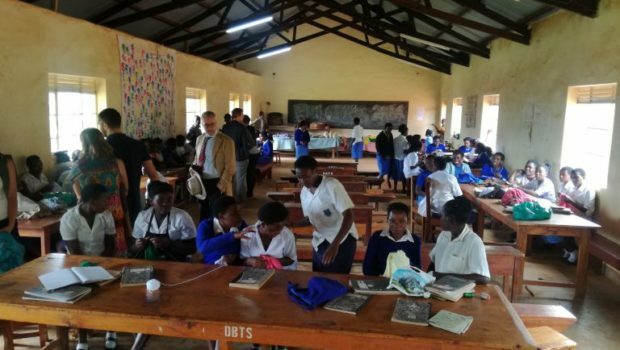 Our team member, Jovan Stalevski, was part of the mixed group of experts from Macedonia, Austria, and Slovakia that had the opportunity to go on two- weeks long study visit in Rwanda and Uganda. 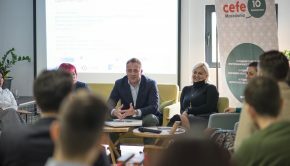 The visit was in the framework of the project “Yes We Care” implemented by Mladiinfo. The European delegation met at the airport in Istanbul. Nine different experts with nine different characters, coming from different backgrounds and organizations (Mladiinfo International, MladiinfoSlovensko, Social Impact Award, Erste Foundation, Vienna University of Economics and Business and CEFE Macedonia), that share the same aspirations and expectations – to learn new things for the social entrepreneurship and the ecosystem in East Africa, to establish further collaborations and partnerships and to bring the two continents closer. Never again Rwanda was the local host and coordinator from Kigali. Guided by a vision of a nation where citizens are agents of positive change and work together towards unity and sustainable peace, Never Again Rwanda was established to promote constructive exchanges of ideas among youth regarding conflict resolution and peace-building to foster leadership skills. Imagine We, Kigali Rwanda is an organization that seeks to work with and improves the livelihoods of young people, especially children, who make up the largest percentage of the Rwandan population. 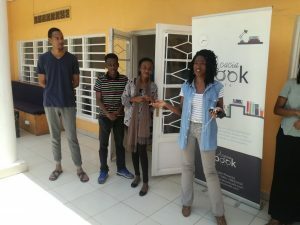 The organization focuses on child and youth literacy development, as well as addressing challenges of children with disabilities in order to foster inclusive development and better cohesion among Rwandans. 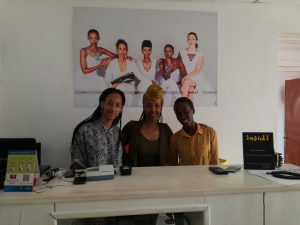 Inzuki Designs, Kigali Rwanda, fuses Rwandan traditional craftsmanship skills with international trends in design to create contemporary African products with global appeal. Almost all of the employees are women that are facing difficult life situations. Cow Horns Rwanda Social Enterprise, Kigali, Rwanda is an enterprise that employs street children who afterward produce pieces of jewelry from cow horns. Abien Artscenter, Kigali, Rwanda, founded by Fabien Akinana is a spot for every artisan who doesn’t have his or her own atelier. 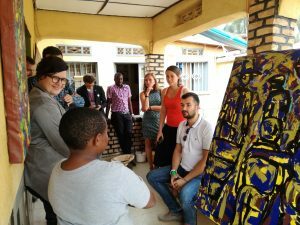 Fabien empowered local women and community through art, workshops, and events. The visit of Rwanda was enriched with the meeting of the Business Development Fund (BDF) that promotes SME development through the provision of financial services to enhance the lending mechanism of financial institutions and the Impact Hub Kigali, that invest heavily in the local community development. 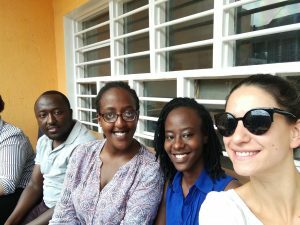 Apart from the opportunity to sneak peak in the core of the ecosystem for social entrepreneurship, Rwanda offered our team additional unforgettable moments: safari, great nightlife, great food and lots of new friendships. Our team next stop was Uganda. Simon, the host from Let us save Uganda welcomed our team with a big smiling face at the very border of Rwanda and Uganda. 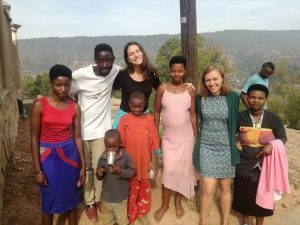 Kabale Youth Mushroom Enterprise is a venture that is owned by youngsters that had a really strong vision for making better carriers for them and empower the local community by starting a business with mushrooms. Now, their business is growing from day to day. Stationary for students is a small place near the Kabale University, where young students can go and do printing, copying, using computers etc. The owner also helps to the students in need by offering training courses for IT literacy. Corporate Unisex Saloon, Kabale is beauty salon that gives free vocational training for marginalized ladies and girls. Paradise Eco Hub is a real paradise placed on the Island of Itambira. The role of the Hub is to develop the local tourism, economy and empower the villages from the nearby places. 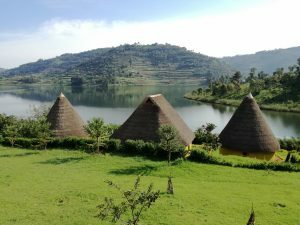 DrucillaBalaba, Kabale is a school for adolescent girls, boys and adult women who need self-reliance income-generating skills. The school offers different training courses which include: Knitting, Tailoring and Design, Crocheting, Art-crafts, Handcrafts, Cookery, Home management and Basic computer application. Western Designs in Kabale empowers young people by offering them vocational training for production on furniture. After that, the furniture is exported to the Western markets. 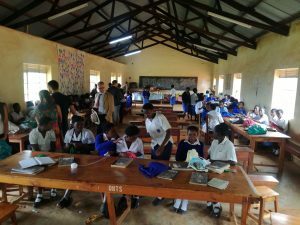 The Social Innovation Academy (SINA) educates former orphans, street children, refugees and other disadvantaged youth in Uganda to become job creators and social entrepreneurs with the ability to turn challenges into solutions. 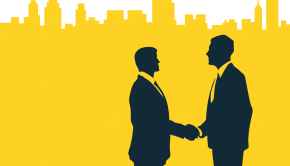 They talked and meet with people that have their initial idea for opening a social business. This was an additional knowledge about the young people, their opinions, and beliefs. One of the priceless moments in this part of the study visit was the dancing class that the group Akeira cultural dancers organized for them. Besides the fun, Akeira cultural dancers presented that they do dancing in order to engage young people from the streets and then they sell their services on the different celebration. Last part of the trip was the visit of Kampala. 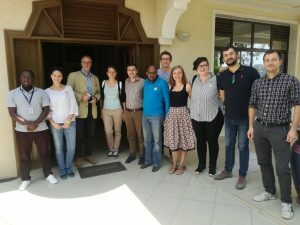 Our team was hosted on a meeting at the Austrian development Agency in Uganda and they visited the Fair Cycle Entebe, a Social Impact Award winner from Austria in 2016. They produce bicycles and other products that make an environmental and social impact. 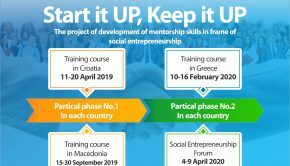 One of the most important components of this part of the trip was the organization of the International Social Entrepreneurship Partnership Building Event. Using the format of fishbowl discussion, the “swimming parties” learned the common challenges and opportunities when it comes to ecosystem building, but also found the differences and the possible points for regional and international collaboration. The added value to our team agenda was the informal networking meetings that they had, visit of the important cultural and historical places in Kampala, the positive energy that circulated all the time around the people and the feeling that we can really create a better world. Our conclusion is that East Africa is a great place for everybody. Yes, there is huge inequality in this region and a big gap among the population. But, also it is a place where the entrepreneurial spirit is flourishing, where you can learn (or at least remember on) the power of solidarity, sharing, the engagement of the local community and the importance of Mother Nature. East Africa in one magical region, that welcomes everybody who wants to make a change in the society. Credentials for the text and pictures to MladiInfo International.